At its inception, the Grenada Citizenship by Investment Programme was devised as a means for the Government to attract foreign direct investment, as well as successful individuals from the overseas community, to the nation’s shores. Today, the Programme is about giving people options, a safe haven, and a route to happiness – especially when this was denied to them at birth. In an exemplification of this concept, the Government of Grenada does not ban any foreign nationals from applying under the CBI Programme on the basis of their current citizenship or country of origin. Rather, each applicant is evaluated on his or her individual merits. Broadly, applications are open to anyone who is 18 or over, is in good health and does not suffer from any communicable disease, has a clean criminal history and a legitimate source of funds, and is willing and able to make the required investment. Qualifying individuals who apply – known as ‘main applicants’ – can include certain family members, such as their spouse, children, parents, and grandparents. These are known as ‘dependants.’ The latter three categories of dependants can be related either to the main applicant or to the spouse. More specifically, these dependants can be children below the age of 18, children who have yet to turn 26 who are both fully supported by the main applicant and in full time attendance at a recognised institution of higher learning, children who are physically or mentally challenged and who live with and are fully supported by the main applicant, and any parents or grandparents above the age of 65 who both live and are fully supported by the main applicant. Every family member, as well as the main applicant, is thoroughly vetted by the Government to ensure that only deserving individuals are awarded Grenadian citizenship. This vetting process begins from the moment the applicant makes the first step towards application. Applicants for citizenship by investment cannot communicate directly with the Government. Rather, they must get in touch with an International Marketing Agent, who, together with a Local Agent, will submit their application to the Government. International Marketing and Local Agents are firms or individuals who were assessed by the Government for the quality of the service they provide, and are listed on the Government’s official website. Agents help applicants prepare their applications, and offer guidance on how to fill out forms and how to collect necessary documents. Documents include, among others, police certificates and medical certificates, as well as birth and marriage certificates. Once the application is ready for submission, the main applicant must pay upfront due diligence, application, and processing fees to the Government of Grenada. The Government of Grenada employs independent third party due diligence firms to review an applicant’s background, and to ensure that all the information provided by the applicant is truthful. The firms perform strict due diligence on every applicant, and submit a report to the Government for evaluation. The branch of the Grenadian Government that runs the CBI Programme is known as the Citizenship by Investment Committee (CBIC). The Committee receives the due diligence report, and reviews the submitted documentation. Once the Committee makes a decision with respect to an applicant, it issues a recommendation to Cabinet. Cabinet makes the final decision on whether an applicant will be granted citizenship. If Cabinet’s decision is positive, the applicant is issued with a letter of ‘approval in principle,’ indicating that citizenship will be granted so long as the applicant makes the appropriate investment. Once evidence of the investment is submitted, the applicant receives a certificate of citizenship. The applicant can then apply for a passport. There are two types of investment that will be accepted under Grenada’s CBI Programme. By far the most popular is a contribution to the National Transformation Fund (NTF). The NTF is a local fund responsible for diversifying Grenada’s economy and assisting the Government with public development works. An applicant who chooses this option makes a one-time non-refundable donation to the NTF, and then sees that donation directly affect the lives of Grenada’s communities. For a single applicant, and up to a family of four, the minimum contribution level under this option is US$ 200,000. The second option available to applicants is an investment in pre-approved real estate. The real estate must be located on the islands of Grenada, Petite Martinique, or Carriacou – which together make the tri-island nation of Grenada – and must have been approved by the Government after a detailed examination of developer experience, likelihood of success, and effect on the local population – such as job creation. This option, while taking longer to complete than the NTF donation, can result in a return on the applicant’s investment. It may also mean that, depending on the selected real estate, the applicant can make use of property on one of the world’s most spectacular locations. The required minimum investment under this option is US$ 350,000. Applicants must also pay a government fee, amounting to US$ 50,000 for up to four family members applying together. Applicants who purchase real estate under the CBI Programme must hold that real estate for a minimum of three years from the date on which they obtain their Grenadian citizenship, at which point they are free to resell. Despite its youth, Grenada’s CBI Programme is one of the world’s most popular. This is in part because the application is unintimidating and swift. In Grenada, complete applications are processed in 60 business days – far quicker than the years of waiting that applicants experience in other jurisdictions. Furthermore, applicants need not reside on any of Grenada’s three islands prior to, or after obtaining citizenship. To make the process even more welcoming, Grenada does not test an applicant’s language skills, education level, or business experience. Finally, the Government does not interview applicants. The other key motivator for applicants choosing Grenada as their country of second citizenship is Grenada’s unique offering of lifestyle, travel, and entrepreneurial opportunities. The tri-island nation of Grenada is known for its captivating beaches, turquoise seas, and airy lookouts. It prides itself on its organic produce, such as nutmeg and cocoa, and on its respect for the environment. Offering an oasis of tranquillity and relaxation to some, Grenada is also a master of excitement and innovation. Grenada’s vibrant towns brim with VIPs and luxury yachts, and celebration is always the word of the day. Grenada is however more than just a tropical paradise – it offers political stability, membership in numerous international organisations (such as the Commonwealth of Nations and the Caribbean Community), and a safe environment in which to settle and raise children. The nation’s educational track record is also excellent, with a staggering 96% literacy rate, and one of the world’s best medical offshore universities – St George’s University. Citizenship of Grenada can be a catalyst for unique travel experiences. Citizens of Grenada can travel visa-free to about 120 nations, including the United Kingdom and the Schengen Area. One of only five nations worldwide to hold visa-free access to China, Grenada also offers exclusive entry to one of today’s fastest growing economies. Similarly, Grenada is only one of a very select number of countries whose citizens may enter the United States on an E-2 Visa. The E-2 Visa is an entrepreneurial visa for those who wish to invest and reside in the United States without having to become permanent – and thus tax – residents. Finally, Grenada itself is a lucrative destination for investors. Its tourism sector continues to expand, and hotel developments are increasing like never before. Between 2013 and 2014 alone, Grenada saw overnight land-based visits and cruise ship arrivals each rise by around 19%. Grenada also has an international airport with 340 inbound flights from major tourist and travel hubs, such as the United States, Canada, the United Kingdom, Germany, and a number of nations from South America and the Caribbean. With tourism expanding, more and more flights are likely to be scheduled. Grenada also has a unique, organic-focused agricultural sector. It is known for its chocolate, and it is the world’s second largest producer of nutmeg, which also features on the nation’s flag. Finally, Grenada is expanding its financial services sector, and the Government is introducing legislative changes to make doing business easier than ever before. Grenada’s Citizenship by Investment Programme is an attractive option for investors looking for a seamless application process that will yield exciting citizenship results. The Programme is well-rooted in the nation’s law, and respected internationally. It is also open to all applicants, so long as they are honest and law-abiding. Citizenship of Grenada opens the doors to travel, rewarding investment, and security not only for the applicant, but also for his or her children, and for future generations to come. Micha is a South African and English lawyer with degrees in business and law. 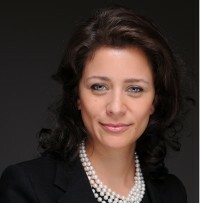 Her expertise includes international private client advice, commercial law, property investment and citizenship planning. Micha has many years of experience in citizenship, residence, immigration and foreign investment law and has held several senior legal advisory roles across a range of industries. She specialises in providing citizenship planning services to HNW individuals. Micha has also travelled extensively providing consultancy services to governments and private firms. The jurisdictions she has worked in include the UK, UAE, Africa, the Caribbean, Asia and Europe. In advising governments, Micha has led professional teams and coordinated the development, delivery and on-going management of citizenship programs and projects.